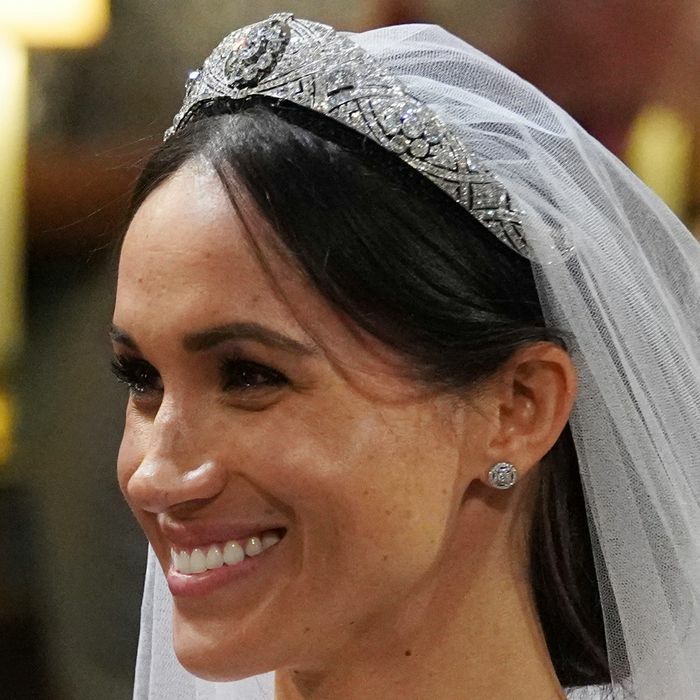 Bridal experts are already predicting that Meghan Markle is going to have a huge impact on bridal wear, as she has moved away from the wedding dress trend that has dominated for the last few years. Lace has been the primary choice for brides, particularly after the Duchess of Cambridge wore a lace Alexander McQueen gown to her royal wedding. However, Meghan's Clare Waight Keller for Givenchy gown was clean and minimal, achieved with six placed seams and no seams on the bodice. "We're thrilled to see Meghan embracing and leading a new trend in wedding dress style," say the experts at Bridebook. "Ever since Kate's wedding dress, the wedding industry has been dominated by lace and extensive embroidery, and high necks as with Pippa Middleton's dress. 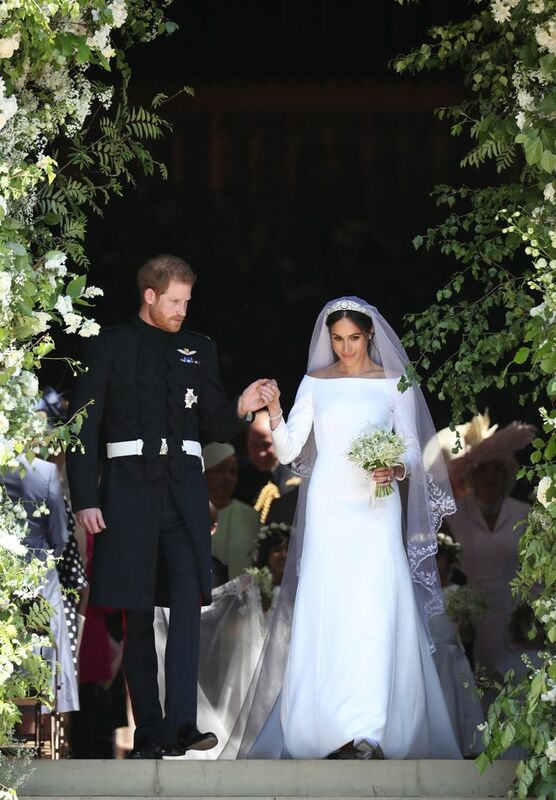 In comparison, Meghan's dress is striking, structural, demure and clean—evoking a very traditional and reserved look that is still forward thinking and modern in style." "Meghan is sure to be ushering in a new era of wedding dress styles," adds Bridebook. "Ever since Kate and William's weddings, lace has dominated wedding dresses in the UK, with 45% of UK brides wearing lace on their big day in 2017 and only 16% wearing satin or silk. Just as with Kate's influence, we are sure to see Meghan's dress completely transform the wedding dress styles for many years to come." You'd be wrong if you were thinking that these minimal gowns are easier to create than heavily embroidered alternatives. "There are no seams in the bodice," says Phillipa Lepley, couture wedding dress designer. "Incredibly clean and plain dresses such as this are very time consuming and complicated to make because unlike a lace dress, there is no room for any errors and you can’t hide any wrinkles as the fabric has to sit perfectly." "Meghan's dress will lead the way for a cleaner look becoming more popular, definitely," adds Lepley. "After the marriage of the Duke and Duchess of Cambridge, we saw a lot more brides wanting lace dresses immediately. Although we have been doing dresses like Meghan's which are clean and simple with structural collars for some time now, this will undoubtedly lead to many more brides requesting to try this style. Up to now, it has taken a certain fairly brave girl to steer away from lace, but I predict we will have more brides from as early as this afternoon asking to try on our heavyweight duchess silk satin dresses. In my view, it really represents Meghan's strength of personality and her clear thinking. She wore the dress rather than the dress wearing her, and her beauty was able to really shine through." Keep scrolling to shop our edit of the best minimal bridal looks. For more, click to see Meghan Markle's wedding dress from every single angle.